Writing can feel like a very personal act, even when it’s for work (or especially when it’s for work). You are putting your argument—and your writing—out there for all to see and judge. That’s scary, so it makes sense that many people get freaked out and then leave their writing task to the last minute. Of course, that’s almost never the best plan. Here are five concrete steps you can take to overcome your fear of writing so you can efficiently and effectively tackle (and conquer) your next writing assignment. Develop a pre-writing plan. Take some time before you dive into the actual writing to organize your thoughts. What is your main argument? What is the information that backs up that argument? Have all of this information in front of you or easily accessible. I’m a big fan of jotting down an outline, but I know that gives many people traumatic flashbacks to their most despised English teacher. If an outline doesn’t work for you, don’t do it. But you will likely save time, and craft a better piece, if you first come up with a somewhat detailed plan of attack. Just keep writing. It can be tempting to stop after each paragraph (or even each sentence) to futz with it. There’s a time for that, but not when you are getting your first draft down. Stick to your outline or list of main points and just keep writing. Turn off email, silence your phone, shut your door, and get it done. You will clean everything up later (and, yes, you will—because everyone’s first draft can be improved). Commit to the self-editing process. Once you have your first draft, read through it again, making any tweaks, cuts, and additions that you deem necessary. Then read through it again … and again. I then like to let it “marinate” overnight or at least for a few hours. It’s amazing the different perspective you will have after you’ve had this distance from it. You might find you love it! 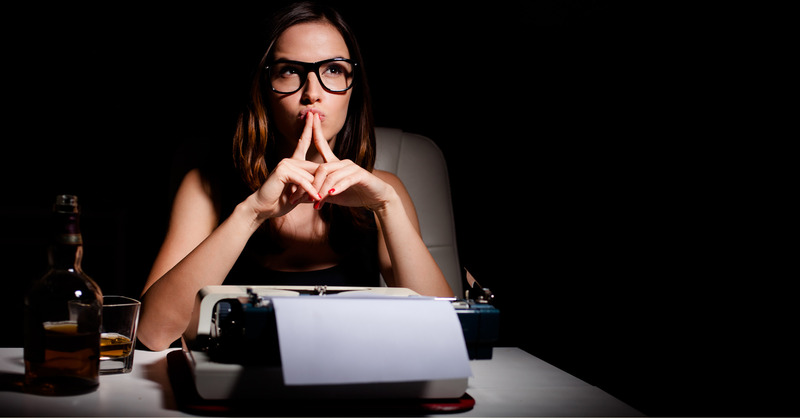 A big trap many fearful writers fall into is waiting until the last minute to write, giving themselves no or little time to self-edit. That’s a recipe for a subpar piece of writing. Don’t do that to yourself. Take a deep breath and go back through it. You are doing yourself an amazing favor—I promise. Understand that less is often more. Don’t fall into the trap of repeating yourself thinking that it makes your argument or main point more persuasive. It doesn’t. It just makes your readers read more words than they need to, and readers don’t like that. Make sure every sentence is necessary. If you’re not sure, cut it. Get yourself an outside editor. If you don’t have an editor on staff, consider hiring a freelance editor (full disclosure: I’m a freelance writer and editor). But, honestly, I’m not being self-serving here. Everyone—and I mean everyone—needs an editor. A good editor will make your good work better. They will catch the typos and grammatical mistakes you simply can’t see because you are too close to it. If you don’t have a staff editor and can’t afford to outsource the task, ask that persnickety person you work with to read it through. So now you see that overcoming your fear of writing might mean spending more time on your next writing project (with the extra time for pre-writing planning, self-editing, and outside editing). I know, that might seem like a bummer. But taking these steps will make your writing better—and when you’re a better writer the fear of the blank screen fades away.